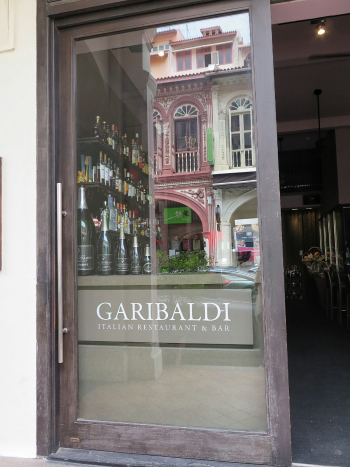 Garibaldi Italian Restaurant & Bar~ I always wanted to try Garibaldi during restaurant week but it is always fully booked. I usually love to try restaurants during Restaurant Week event which is organised by Dining City. Participating restaurants will offer set menus. 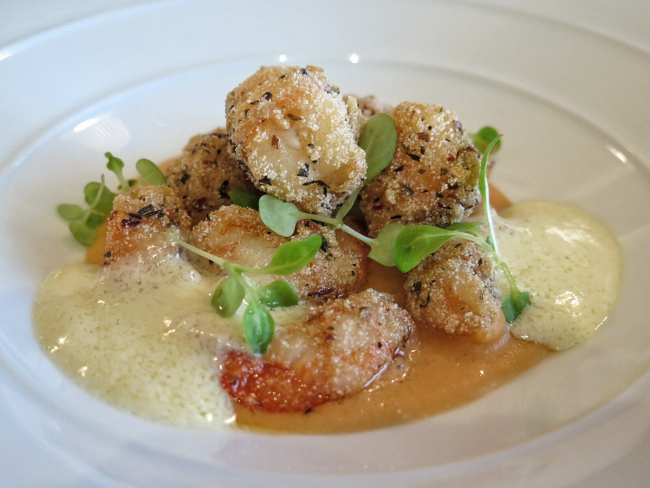 It gives me the opportunity to try a 3-course set lunch menu in Garibaldi at $40++. It is significantly cheaper than what many people would normally spend there. Wow! The restaurant is much bigger than I expected. The ambience is created by elegant floral natural elements. 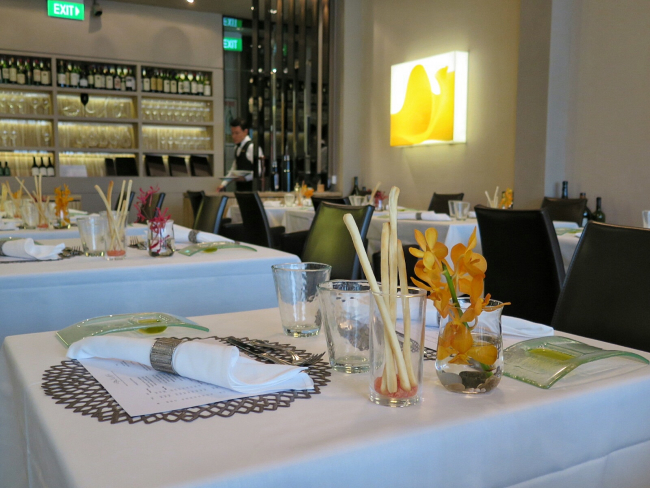 Love the fresh orchid flowers arranged on each table. 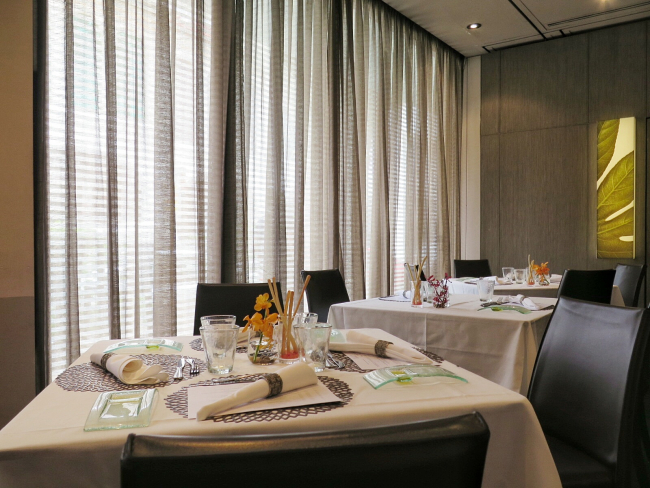 I think it is ideal place for romantic dates and business dining. They swiftly brought us to our seats. 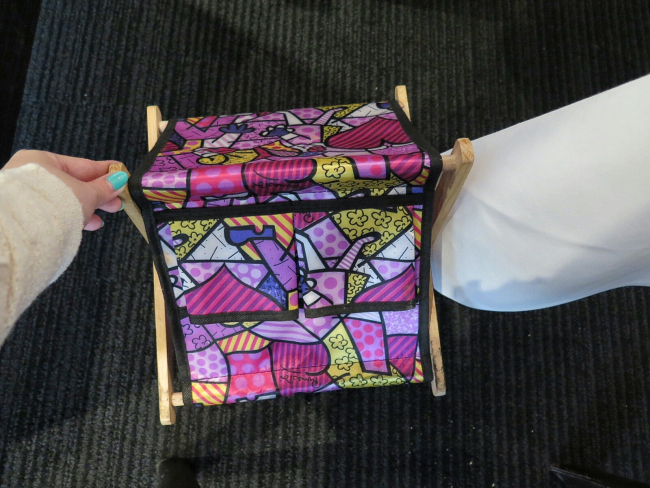 They also provided me a little colorful stool to hold up my bag. So cute! Very attentive to customer's needs. 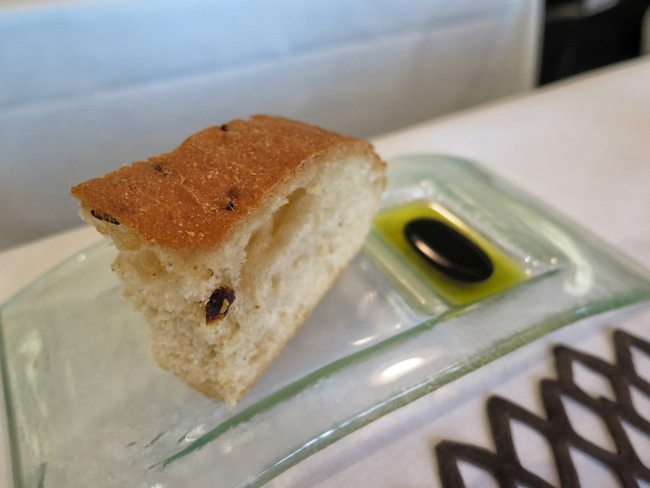 They promptly refill the complimentary bread and olive oil. They are very generous to keep offering the complimentary bread. It feel warm and fresh (crispy outside and soft inside). 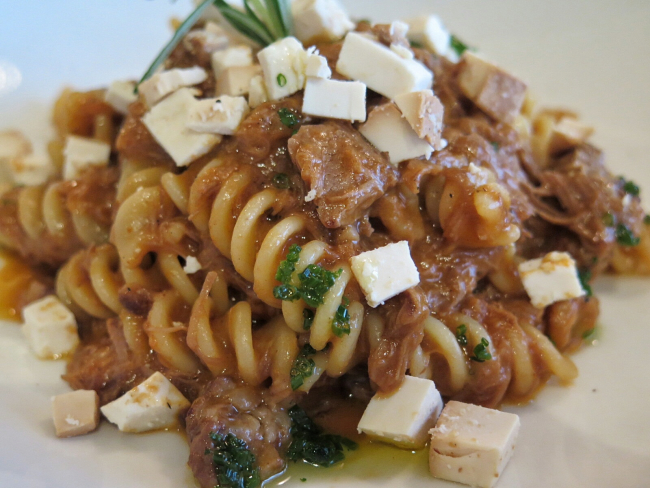 Spiral Pasta with Roasted & Braised Lamb Shoulder, Grated Smoked Sheep's Ricotta Cheese (Fusillicon Arrosto Brasato Di Agnello E Ricotta Di Pecora Affumicata)- Intriguing dish. My first time to try lamb pasta. 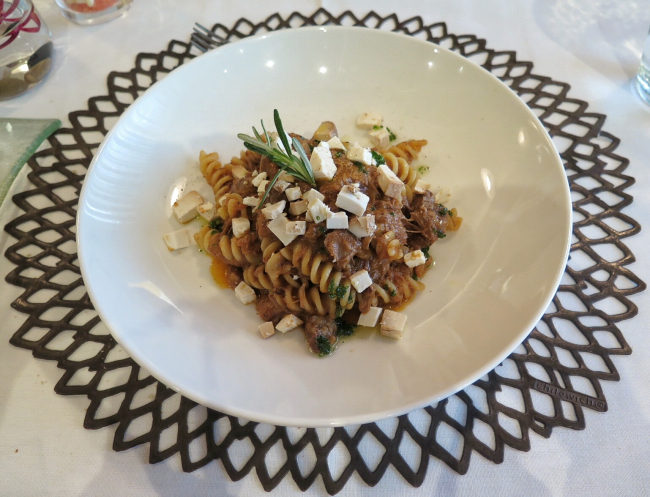 The deep, intense flavor of lamb feel very different the usual traditional pasta meat sauce. Together with the ricotta cheese, it was so fragrant and flavorful. 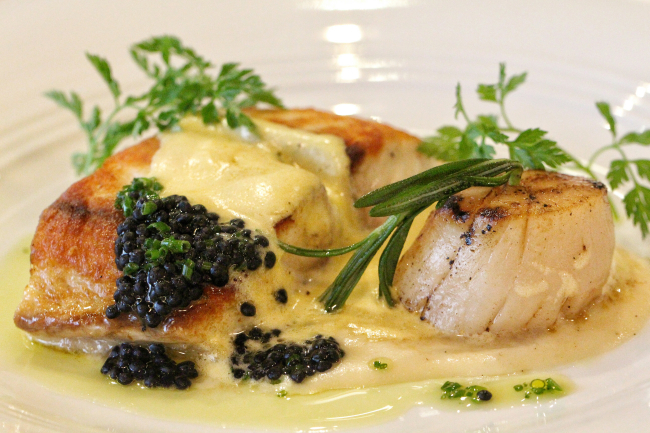 Pan Seared Seabass with Rosemary Hokkaido Scallop Skewer, Jerusalemme Artichoke and Herring Caviar Sabayon (Branzino Con Spiedino Di Capesante Al Rosmarino, Crema Di Topinambur E Zabaione Al Caviale) - The juicy Hokkaido Scallop was an ingenious complement to the light and flaky pan seared seabass. 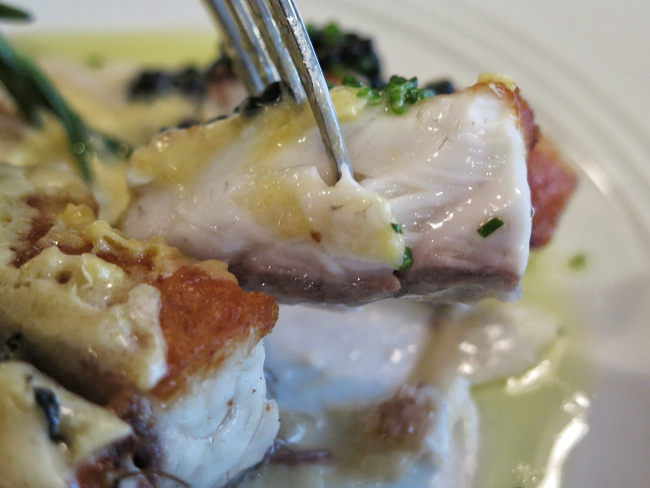 Together with the salty kick of the Herring Caviar Sabayon, the dish was amazingly delicious. To top it off, the dish is artistically presented and very pleasing to the eyes. 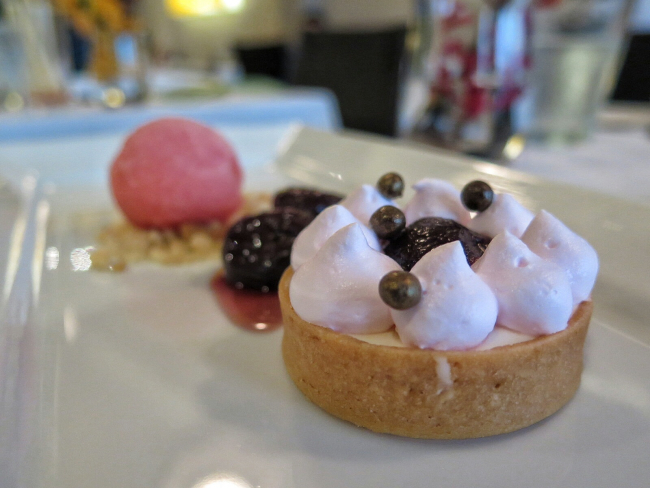 Yoghurt Tart with Dark Sweet Cherries and Blood Orange Sorbert (Crostatina Allo Yoghurt, Ciliegie E Arance Sanguigne) - A refreshing light sorbet. Interesting yoghurt tart. I have never try before a yoghurt tart. It feel delicious and healthy. 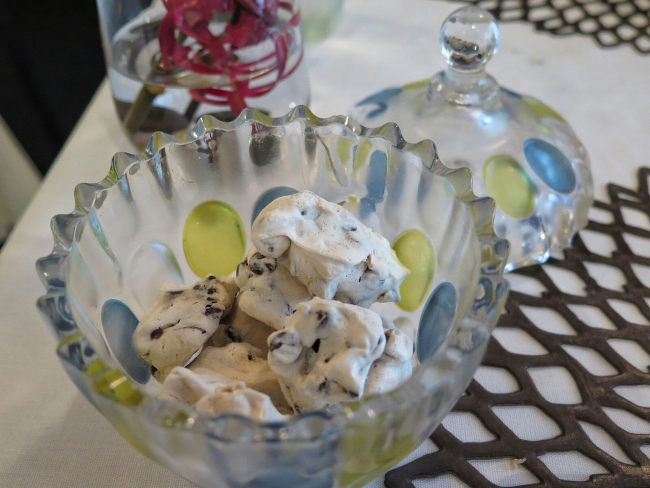 Chocolate Chip Meringue - The complimentary meringues are so addictive!~ It is light and airy with chewy chocolate chip.